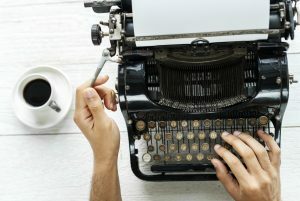 Loosely defined, creative writing is any writing that focuses not simply on conveying information but on the narrative craft, character development, and plot development. Creative writing can include fiction, nonfiction, and poetry. “At one time I thought the most important thing was talent. I think now that — the young man or the young woman must possess or teach himself, train himself, in infinite patience, which is to try and to try and to try until it comes right. He must train himself in ruthless intolerance. That is, to throw away anything that is false no matter how much he might love that page or that paragraph. 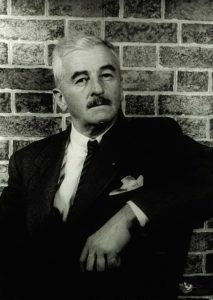 Now that we have encouragement from William Faulkner, let’s get started. You will find inspiration and practical advice for writers below. 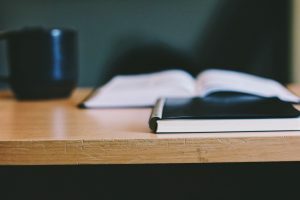 How to Come Up with Story Ideas is a constantly growing collection of creative writing resources about ways to find story ideas, develop plots, develop characters, and overcome writing block at various stages of your writing process. It also includes a section on using creative writing prompts to find fresh perspectives and new ideas. Character Development contains lots of great advice about creating compelling and memorable characters. Resources include character questionnaires, suggestions on ways to find, define, and develop your characters as well as practical tips on structuring your character’s desire, motivation, and goals. Setting in a Story is a collection of resources that will provide you with practical tips and suggestions on using descriptive details to bring your settings to life, make them exciting and relatable for your readers, and create compelling stories. How to Write Dialogue will guide you through the sometimes complex process of writing compelling dialogue. This section contains resources on various aspects of dialogue writing, including dialogue punctuation rules, the most effective use of tags, the use of foreign words, and many other helpful suggestions. Point of View is a collection of resources that clearly explain the differences between the first person and the third person limited points of view, the third person limited and the third person omniscient, and everything in-between. All explanations have clear and concise examples that will help you make the best point of view choices for your stories. How to Write a Scene contains everything you need to write effective scenes. Resources include definition of a scene and its purpose in a story, discussion of various types of scenes, as well as practical tips and writing suggestions. How to Revise and Edit Short Stories section will help you make the story the best it can be. You will find guidelines about what to look for when editing your own writing, including your use of adverbs and adjectives, verb tense choices, and a variety of suggestions on revising your story with the goal of strengthening its structure. How to Write Metaphors section will show you how to use metaphors that will enhance your characters, your plots, and the theme of your stories. Writing Humor section has suggestions on effective ways to use humor in your stories. It also includes a discussion of Scott Sedita’s eight characters of comedy.